It takes more than having a good voice and being talented to thrive in the music industry and remain relevant thereof. 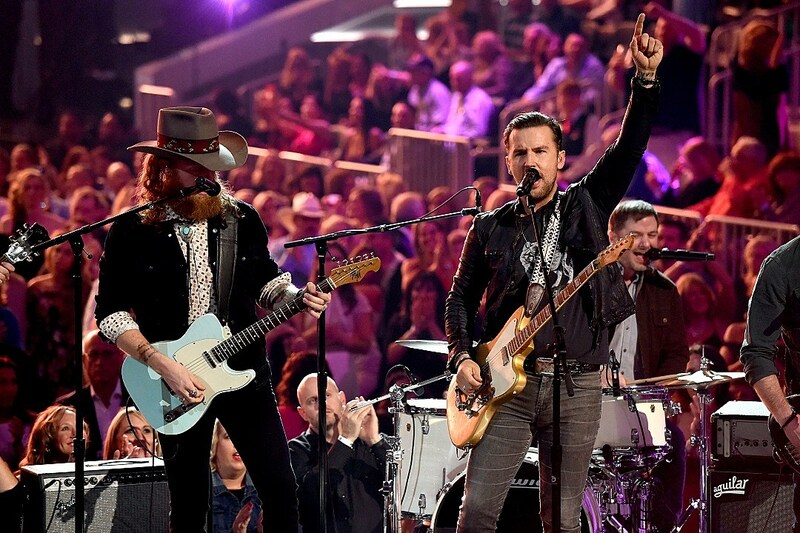 To survive the highly competitive industry, history has seen musicians coming together as a group to accomplish their dreams, just like the Brothers Osborne. Those who can tell a thing or two about this music duo need not be told that Brothers Osbourne is made up of John and T.J Osborne. That the main genre of music they produce is country, and, that their overall style draws from outlaw country, southern rock, neotraditional country, and blues influences. They have three projects to their name: a self-titled E.P and two studio albums called Pawn Shop and Port Saint Joe. A number of their singles have done spectacularly well on music charts, bringing the duo fortune and almost instant popularity. The core philosophy behind their music is creating a sound that is infectious, honest, full of substance, and able to stand the test of time. In just a few years, they have managed to garner a massive following and ease their way into the hearts and ears of fans across the globe. The duo has received critical acclaim for their musical abilities. They have had the opportunity to work with or perform alongside leading country music artists like Miranda Lambert, Lee Ann Womack, Chris Stapleton, David Nail, and Lucie Silvas. They are fondly referred to in country music circles as the duo who made the epithet “bro country” non-derogatory again. Who Are The Brothers Osborne? The Brothers Osborne is a country music duo comprised of John and T.J Osbourne. John was born on April 27, 1982, while T.J was born on November 18, 1984. The brothers were the middle of five children born to working-class parents in the rural town of Deale, Maryland. Their father worked as a plumber, which meant he didn’t earn a lot of money, so the family always struggled to make ends meet. The boys had to learn to find joy in their lives no matter what. Whenever the lights went out because electric bills had not been paid, the brothers would make a fun game out of it. Being poor was not a concept their childish minds could wrap around, they just understood it was how life was. John and T.J were introduced to music as kids. Once upon a time, their parents had been singer-songwriters trying to make it in Nashville, so music has always been a part of their lives. It is said that the boys began playing instruments at a young age. Soon enough, they were practising every chance they got, and experimenting with writing and singing their own lines. John and T.J didn’t set out to form a musical duo, although they were both interested in music. John moved to Nashville in 2002 to kick-start his career, while T.J joined him two years later, but the latter wouldn’t make peace with the idea of performing publicly until several years later. By this time, John already had a band of his own called KingBilly, but he would occasionally play the guitar for some of T.J,’s solo sets. People began pointing out the synergy between them and praising it. After years of compliments and positive feedback, the two decided to form third own band in 2012, and Brothers Osborne was born. Almost immediately, offers for record deals began pouring in. A few months later, the duo signed a record deal with EMI Nashville. They released their first single titled Let’s Go There in 2019, which rose to Top 40 on country airplay. Rum, their second single was released in 2014 and it reached Top 40 again. Later in the year, they released a self-titled E.P. Stay a Little Longer was their third single. It was released in 2015 and went on to become a Top 5 country music hit the following year. Brothers Osbourne released their debut album called Pawn Shop in 2016, which was produced by Jay Joyce. They wrote nearly all the songs on the albums and co-wrote some with musicians such as Ross Copperman, Lew Thomas Miller, Casey Beathard, Shane McAnally, and Maren Morris. The album went on to earn gold certification. Their second album, Port Saint Joe, named after the place it was recorded in, was released in April 2018. It was heralded by the single, Shoot Me Straight. The duo has been nominated for several awards including a Country Music Association Awards and Academy of Country Music Awards, which they have won a number of times. They are also a three-time Grammy Award nominee. The siblings got a Grammy nomination without an album so it is hardly a surprise that people are already wanting to know the extent of the wealth they have accumulated from their career as musicians. While we can tell that the Brothers Osborne have done well for themselves considering the successful tours they have been pulling off, it is difficult to place a figure on their wealth at the moment. Growing up in the small fishing town of Dealer, Maryland, is not something the brothers are ashamed of. They wear their roots proudly and do not try to hide the fact that they were raised on blue collar jobs. They even went as far as making this the video concept for the song, Rum. The video was filled with locals from the community just having a normal day in the sleepy town they lived in. It was an authentic and honest depiction of their story. The brothers follow in the footsteps of other legendary duos in singing and the format that their composition takes. They are inspired by The Rolling Stones with Mick Jagger and Keith Richards, as well as Led Zeppelin, which had Robert Plant as the vocal frontman and Jimmy Page as the seasoned guitarist. They draw influences from these groups when making their own musical arrangements, vocals, and beats. Despite their family being relatively large, the Osbornes have a very strong bond with one another. John and T.J were born two years apart, but while growing up, they did practically everything together. They shared a room until John went away to college. They learnt to make music and sing together and also entertained friends and family during their parents weekend all-night jam sessions. During their teenage years, John and T.J played in a band called Deuce and a Quarter with their father. Their speciality was covering popular songs as they performed songs by other country singers in bars around their hometown. Their father helped them get used to the gruesome tour schedules by making them learn enough songs to last four hours. The brothers also played in another band called Jax ‘n’ Jive in their high school and won a competition with them. Their debut album is a multifarious project cutting across a variety of subjects, much like a real pawn shop. The titular track tells the sad and relatable tale of having to sell off one’s property in order to be able to afford a basic amenity like rent. It is an anthem for everyone who grew up poor or struggling. The duo loves visiting pawn shops wherever they go and they compete to see who can find the coolest things. Followers of their music would certainly have noticed that the brothers have songs about marijuana like Green Pastures and Weed, Whiskey and Willie on both of their albums. They also admitted to supporting the voices calling for the legalisation or decriminalisation of the substance for medical and recreational purposes. When the older Osborne brother decided to say goodbye to the bachelor life, it was an impromptu decision. There was no time to get wedding rings so he married his sweetheart, Lucie Silva with lollipop rings in 2015. Bonus Fact: The Brothers Osborne is known to be liberal-minded and for speaking up on issues that most artists would rather not discuss so as not to hurt their fan base. Among the issues that the sibling duo hasn’t shied away from is the gun control debate. Speaking on the issue, TJ once expressed that it’s not cool for the NRA which is a group of barely 5 million people to decide how the entire American population have to live their lives. Adding to that, John asserted that their intent isn’t to sow division among Americans but to keep them discussing sensitive subjects so as to engender a positive outcome.